The street in San Diego’s Chollas View neighborhood where a victim of the USS Cole bombing grew up will be renamed in her honor at a Wednesday ceremony. Lise Avenue will become Lakiba Palmer Avenue in a ceremony at noon that day, according to Councilwoman Myrtle Cole. Lakiba grew up in a house at 5001 Lise Ave., which is east of the 805 freeway, south of state Route 94 and north of Market Street. The San Diego High School graduate was one of 17 sailors killed in the Oct. 12, 2000, attack in Yemen. She was 22 years old. The Cole was refueling when two men steered a small boat laden with explosives close to the bow and blew themselves up. The crew saved the ship from sinking and it eventually returned to service. “Lakiba Palmer is undoubtedly a hero,” Myrtle Cole said last month, when her council colleagues unanimously approved the name change. Lakiba was one of the first female sailors to die in action aboard a U.S. warship, according to the councilwoman. 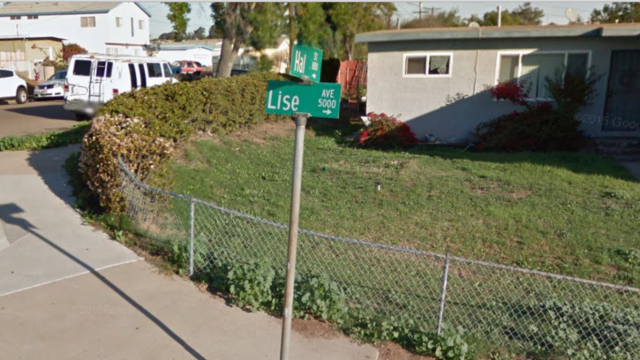 Three residents of Lise Avenue — a two-block, 1,200-foot-long roadway with 34 single-family homes — spoke against the name change. They said it would create hardship because affected residents would have to send address changes to banks, utilities, insurance companies and other entities and proposed naming nearby Gompers Park after the sailor. However, Lakiba’s mother and brother, who still live in the house, said they preferred that she be honored by having the street named after her.